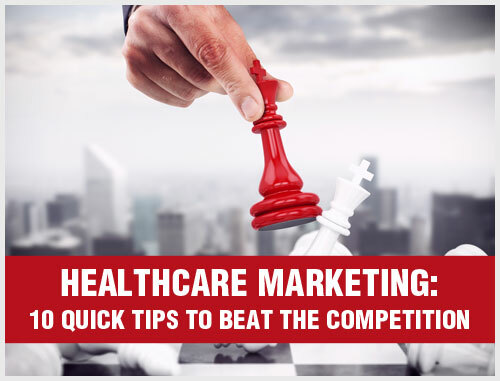 In a world where your competitors are just a click away, meeting and exceeding patient expectations is the new marketing mantra. Today’s patients have access to an endless amount of information about your cosmetic surgery practice and the unique services you offer. Research shows that patients are willing to stop hopping from one practice to another and stick with a cosmetic surgeon who goes the extra mile to create a fantastic patient experience. When patients feel taken care of, they are more inclined to come back to your practice and recommend you to their family and friends. Most patients have a choice. Despite being limited by factors beyond their control, most patients prefer to change their cosmetic surgeons just to get a better experience. 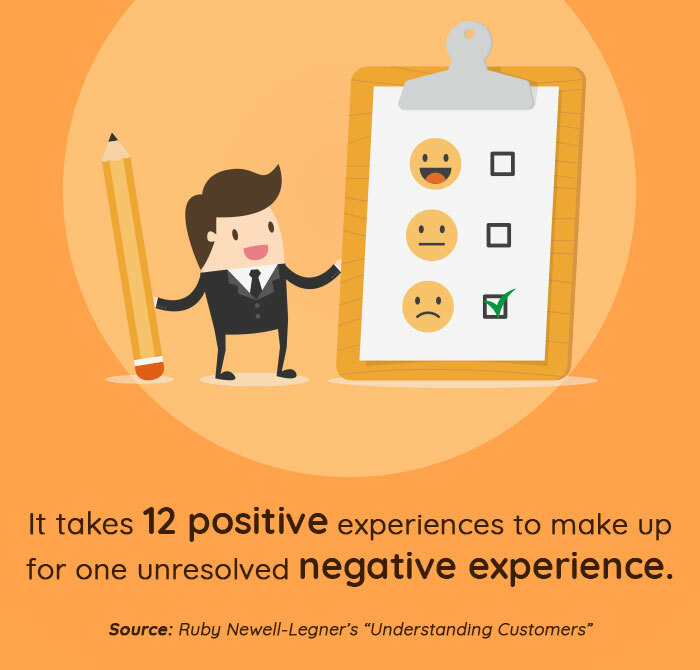 Understanding and exceeding patient expectations make everyone’s job a lot easier. Patient satisfaction leads to more accommodating patients, which makes a smoother experience for your practice overall. Exceeding patient expectations means more referrals and word-of-mouth business. When patients have a good experience, they are more likely to talk about it to their family. That means more word-of-mouth referrals, which means more patients and an increased bottom line. Whether you own a startup cosmetic surgery practice or an established one, you may be facing lack of funds or need more staff. 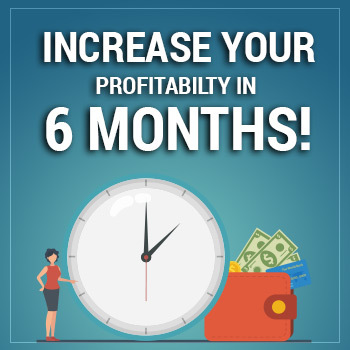 However, you can still remain profitable by serving your existing patients well. According to studies, nearly 67 percent of practice owners do not understand the value of exceeding patient expectations. These practice owners often miss the opportunity to gain lifelong patients and brand ambassadors. Exceeding a patient’s expectations means, when faced with a decision between you and your competitors, he or she will pick you every time. Every single time. Clearly, all cosmetic surgery practice owners will want patients to prefer their brand over their competitors. However, the key is to learn about your patients’ preferences from the very beginning. The majority of patients think the most critical time to make them feel better is during their visit to your practice. This is the best time to offer a consistent experience that addresses their needs and solves their problems. When your patient asks for help, do not be passive. Be sure to familiarize yourself with a patient’s background so you can take charge of the conversation. Brand loyalty is strengthened with every interaction your patient has with your practice. The key to gaining a patient’s loyalty is always to meet or exceed his or her expectations. When patients become loyal, they not only come back to your practice, they become emotionally attached to your brand. Loyal patients will recommend your brand to their friends and family, develop an emotional connection and act as brand ambassadors. Brand loyalty is an essential investment for your cosmetic surgery practice, and you must offer value in order to become invaluable to your patients. 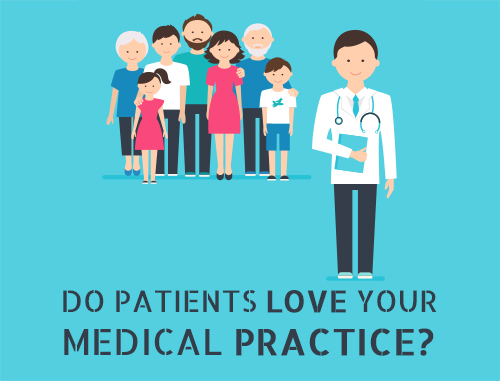 Why Don’t Patients Come Back to Your Practice? The biggest reason patients may stop visiting your cosmetic surgery practice is poor patient experience and the inability of your staff to meet or exceed their expectations. However, what reasons lead a patient to describe an experience as “poor” or “unacceptable”? The answer is simple: Incompetency, staff manners and slow service can make a patient dislike your practice or staff. This shows that competent and polite staff is more important than the speed of service. So how do you build a brand that wins over the hearts and minds of your patients and exceeds their expectations? Let us look at four ways cosmetic surgery practices can improve relationships with their patients and exceed their expectations. 1. 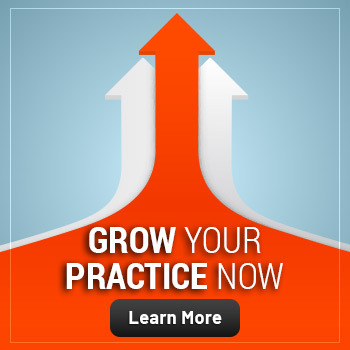 Engage with your patients: Exceeding patient expectations starts with reaching out and nurturing the patients who help your practice grow. Engaging with them will help you to create a sense of belonging. You can use social media networks to inform patients of special deals and exciting developments. If you can make your patients involved in your practice, they are more likely to have positive associations, and informed patients are satisfied patients. Attracting and retaining patients starts with figuring out how and where you are losing them – why aren’t many patients loyal to your practice? In most cases, this is due to poor patient service. It is essential to make sure your patient service is impeccable, and if you play your cards right, this can be an easy victory for your practice. 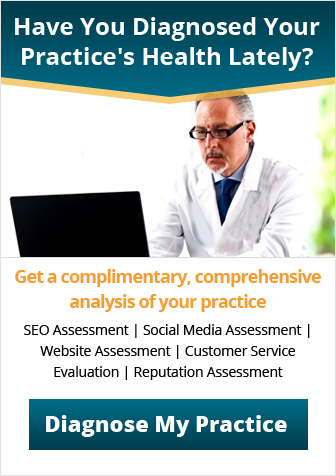 Provide a positive patient experience, safeguard your online reputation and encourage patients to stick by your brand long enough to meet and exceed their expectations. One of the most effective strategies to retain patients is by recognizing and fulfilling their needs. You can use your patient behavior data to assess what your patients are likely to expect from your practice and offer it to them. 2. Use technology to exceed patient expectations: The latest tools and technology can help you improve your relationship with your patients. When patients understand that you are trying to exceeding their expectations, they will return the favor by giving you their time and references. This symbiotic relationship is valuable as it helps create trust, which should be the goal for every cosmetic surgery practice. Once your practice has earned the trust of your patients, you can employ patient portals to gain intelligent insights and solutions. Such portals will enable your patients to create, edit and delete their profile and use it whenever they want. Patient portals will help your staff have quick access to valuable insights about the needs and preferences of your patients. By engaging your patients with data aligned with their preferences, your practice can provide a better patient experience and exceed their expectations. 3. Use social networks to show patient appreciation: Social networks are an excellent way to build improved patient engagement, understand their needs and exceed their expectations. According to a study, when a business, including the healthcare market, uses social networks to communicate with their target audience, people listen. When you communicate with your patients on social media, it helps build brand loyalty, and those patients can become your brand ambassadors. 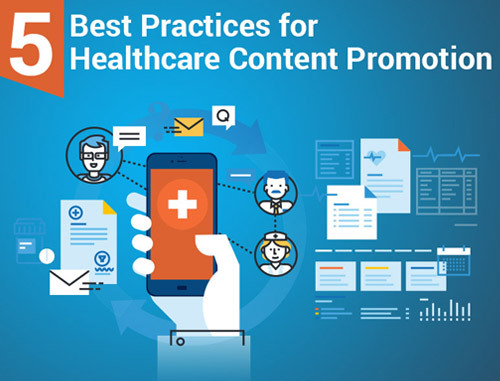 Replying with a personal message or updating your patients with general healthcare-related news is a great way to humanize your brand and strengthen your relationships. Your cosmetic surgery practice likely has some brand ambassadors continually engaging on social media. You must surprise them. Go beyond the typical reply with a special discount voucher or complimentary service. The cost will be minimal, and you can rest assured that the recipients will post about it for others to see. This shout-out or acknowledgment on social networks will help attract more patients and increase the positive exposure of your brand. Showing that your practice cares about its patients and their experience will separate your brand from the competition. 4. Deliver value to your patients: Patients are looking to identify with your practice’s mission and values. To them, what you offer is who you are. How can you help your patients identify your brand’s values? The answer is: Be definitive. The more specific you can be about your skills and services, the more your patients will understand what value you offer them. You need to make sure your patients understand what you do and the value you add to their lives. This means you need to zoom in on just one service or unique proposition until it fills the screen. Even the most effective brand-loyalty campaigns will be futile if you do not deliver value through your unique services and focus on your patients’ needs. You must promote your unique selling proposition and use it as the foundation to design and deliver your brand-loyalty campaigns. Do Patients Forgive if You Fail to Meet Expectations? Despite your best efforts and intentions, mistakes are bound to happen when dealing with patients. A lot of small issues may make their way into your service provision. However, the good news is: Occasional mistakes will not damage your reputation unless such errors become the norm. But what about serious errors? Will patients forgive a massive error? It is important to understand the thought process and associated actions of dissatisfied patients. As mentioned in Malcolm Gladwell’s book Blink, most patients who suffer an injury due to a practitioner’s negligence do not sue their cosmetic surgeon. A common factor among those patients who pursued legal action is that they felt as if they did not get enough time with their doctor. Most of the litigious patients described their interactions with their doctor as poorly diagnosed. However, most of these patients will be willing to give their cosmetic surgeon a second chance. 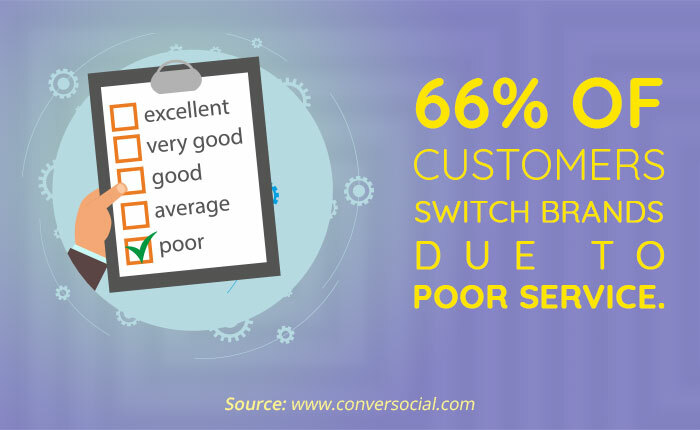 Speed and quality of service is the innocent culprit in most of these situations. Trying to respond to patients as quickly as possible decreases your chances of ignoring critical details, something that is very important to patients. Your competitive advantage must focus on building patient relationships and improving the experience. Gone are the days when practices offered basic services. If you want to exceed your patients’ expectations, it is time to treat patients like people, not numbers. Always pay attention to what your patients are telling you. Do not be a transaction-focused practice. It is critical to building a practice to serve people and care about them, and they may return the favor by caring about you. This is the key to nurturing brand loyalty. Remember, engaging patients and strengthening relationships is a practice-wide endeavor. It is not just for your front-desk staff. Exceeding patients’ expectations is everyone’s responsibility.